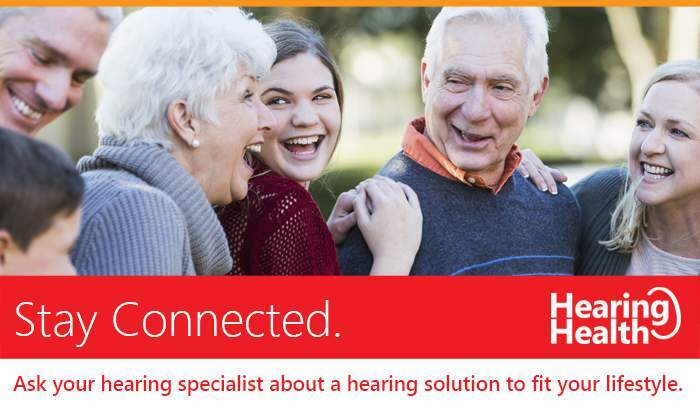 At Hearing Health, we strive to help you hear better by providing convenient, affordable, professional hearing health products and services ranging from comprehensive hearing evaluations to top of the line 100% digital and invisible hearing aids. Our promise to you is that if you are not 100% satisfied with the hearing aids you purchase from us, return them within 45 days* and we will refund what you paid for them with no questions asked. Give us a chance to help you improve the quality of your life by improving your hearing and we guarantee that you’ll be happy with the outcome. To find a Hearing Health Center near you, please visit our locations page. *Please see store for further details. Request an appointment. We will contact you to schedule a convenient time to visit your local Hearing Health location. ** Our hearing test and video otoscopic inspection are always free. Hearing test is an audiometric test to determine proper amplification needs only. These are not medical exams or diagnoses nor are they intended to replace a physician’s care. If you suspect a medical problem, please seek treatment from your doctor. We stand behind our products with an industry-leading 45-day guarantee. Visit your hearing specialist for details.